Anorak News | Ahmed Dogan: Who is Oktai Enimehmedov? Ahmed Dogan: Who is Oktai Enimehmedov? BLOODY hell, Bulgaria. 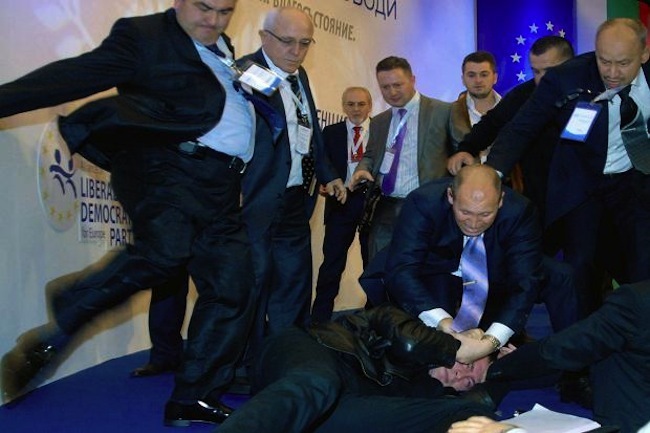 The country’s opposition leader Ahmed Dogan was delivering a speech in Sofia when Oktai Enimehmedov, 25, a Bulgarian national and ethnic Turk, from Burgas, pounced. He was arrested and taken to hospital. pounced. His gun misfired. Dogan moved away. 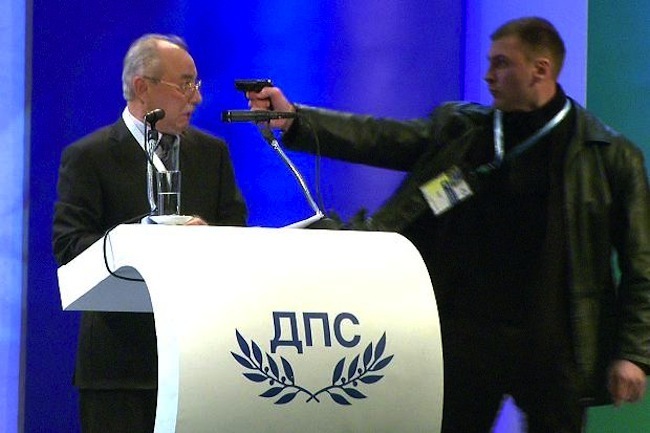 Other delegates rushed the stage, giving the gunman a kicking. They did not shoot the gunman. Enimehmedov was also armed with two knives. 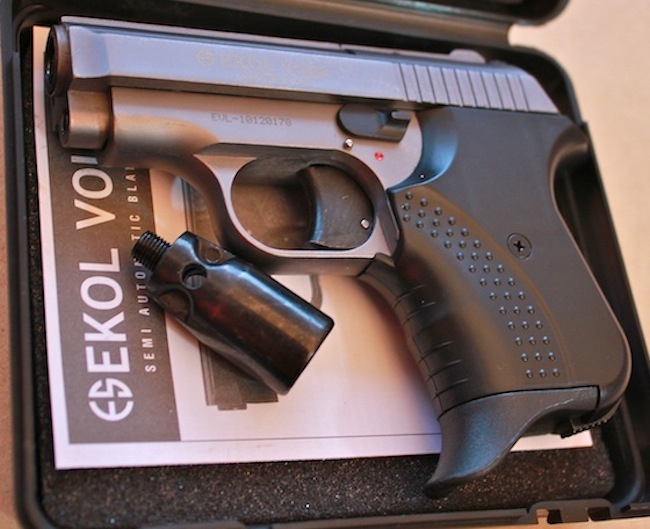 His gun was a Ekol Volga 9mm gas pistol. It’s a training gun. It’s billed as being non-lethal. But if it fired a projectile your face from close range, it might be. Dogan is the founding father of Bulgaria’s Rights and Freedoms party, which represents ethnic Turks and other Muslims. This was his resignation speech. What do we know about Oktai Enimehmedov? Interior minister Tsvevtan Tsvetanov says Enimehmedov has criminal record for drugs possession, robberies and hooliganism. He will charged with “grave hooliganism and death threat”. There is no evidence suggesting that other individuals may have been involved in the attack, according to the prosecutor. Enimehmedov is believed to be sane and capable of standing trial. Note: photos taken from the internet and video. No copyright attributed. If they are yours, please let us know and we will remove them.